Tip: Add the following line(s) on a new blank line before the preceding line(s) of find. Tip: Add the following line(s) on a new blank line after the preceding line(s) of find. 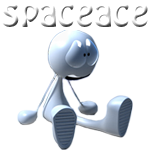 Last edited by spaceace on Mon Jan 02, 2017 8:17 pm, edited 1 time in total.